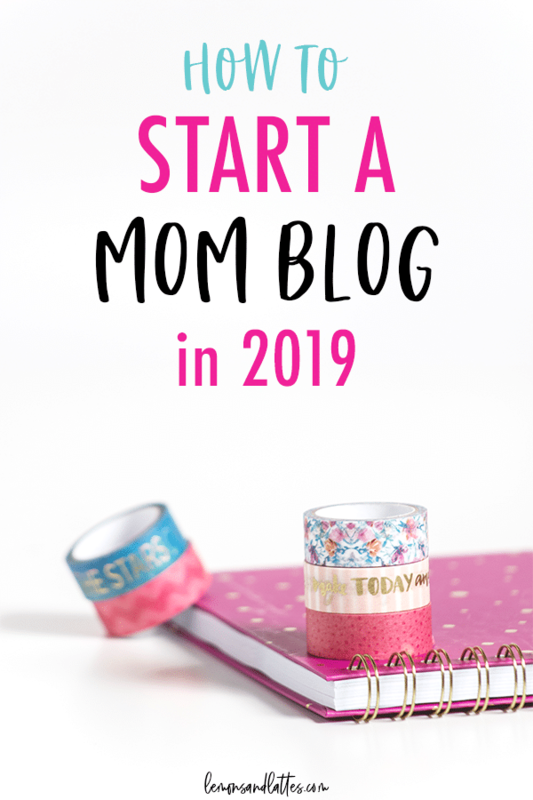 If you’ve been wanting to start a mom blog, it’s much easier than you think! If you ask someone what their biggest regret is when it comes to their blog, you’ll probably get some variation of the same response: they wish they had started sooner. I know you probably hear this all the time, but most of the doubts and fears you have about anything are all in your head! It’s really true. Honestly, the hardest part of starting a mom blog (or any blog) is starting. The technical stuff is actually pretty simple and doesn’t take long at all. So, whether you’re looking to build a blog that may one day be a full-time business or just looking for a creative outlet for something to do when you’re not listening to Minecraft stories or picking up Legos, consider this the push you’ve been waiting for. 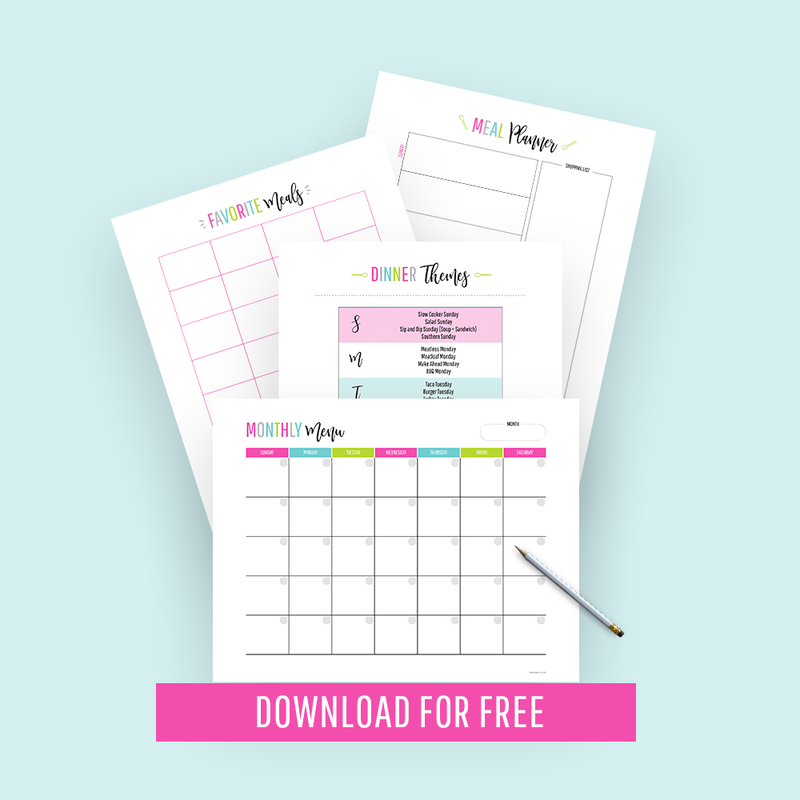 You’re only 4 steps away from having a brand new shiny blog to call your own. Soo many people get hung up on this simple step. If you’ve done any research on this at all, you’ve probably had a guru or two talking your ear off about how you must choose a niche. While I do think it’s much easier to grow a blog that has a centered focus, I still feel that this advice isn’t black and white. As a beginner blogger, you may have to try out a few topics to find your sweet spot. I don’t think anyone gets it 100% right from the start. You may think you’re a huge fan of something, but when it comes to writing about it… you might find that you just don’t love it as much as you thought you would (this happened to me!). Choose a few topics you feel you’ll enjoy, and just get started. Taking action is what will lead you to the clarity you’re looking for. Your audience will help dictate the direction of your blog as you go along. This is another step that people often get hung up on. My advice is to choose a simple name that is broad enough to cover your chosen topics and allow for pivoting. Write down any words that are either related to your topics, your target audience (that ideal person your stuff will appeal to), and even words that have meaning to you. Try mixing and matching and see what you come up with! 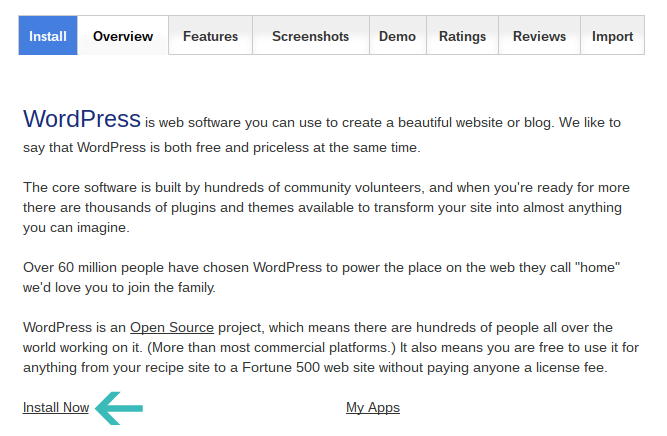 The platform I use and recommend is WordPress (self-hosted). You may have heard other bloggers talk about going with other platforms because they don’t know how to code, they’re not very tech-savvy, etc. Those are actually not requirements in order for WordPress to work for you. Now, some people confuse the WordPress I’m talking about with a free WordPress(.com) blog. What is the difference between WordPress.com and WordPress.org (self-hosted)? There is a slight learning curve like anything else, but the net is full of tutorials that will help you. You can literally turn your site into anything you want. Think you might want to set up a shop one day? Cool. A membership site? Heck yeah. You make the rules. You are free to add whatever you like to your site. If you want to display ads (not my favorite, but just making a point), you can. Want to throw in a couple affiliate links (as long as you follow the FTC’s rules), you’re free to! If you wanted to get techie and customize some of your site beyond what comes out of the box, no prob. It’s probably the most popular platform among bloggers that make full-time incomes. Need I say more? 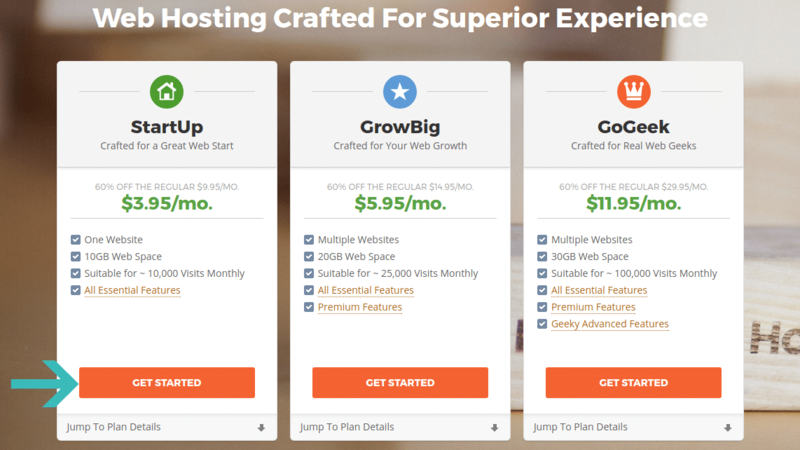 Assuming you trust my judgement on starting a self-hosted WordPress site, now you need to decide on a host. What is a host and why do I need one? Let’s say you’re planning on building a house. Before you start building, you need to find the perfect lot to build on so that you absolutely love the full package when your new home is built. You want the view to be gorgeous, no annoying neighbors, etc. Think of your host as that perfect lot or area of land and your WordPress site is that gorgeous new home that goes on top. Your home could be beautiful, but if you chose a crappy location, you’re not going to have the best experience, right? So, in a host, there are certain things we want to look for so that we’re happy with every aspect of our “home” once it’s built online. We want great customer service, simplicity to get everything set up like it needs to be, and affordability. I’ve finally found this with Siteground. I looked around before deciding on the host for my own blog, and this is the company I went with personally. And so far so good. Head on over to Siteground. 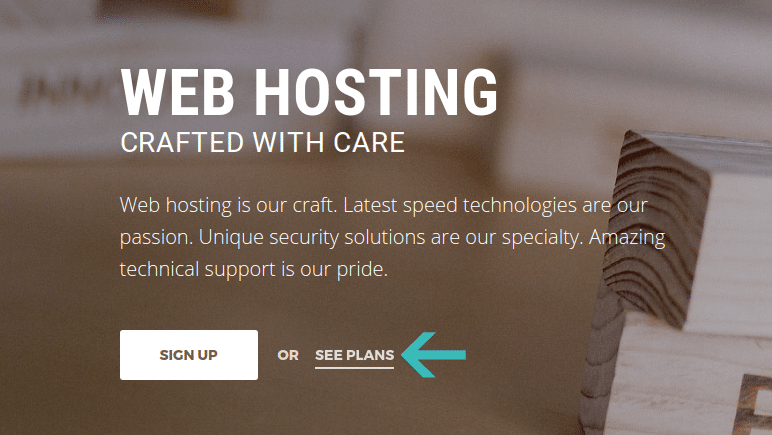 Next, choose your hosting package. For most beginners, the StartUp package is fine, and it’s a plus that it’s just $3.95 per month. 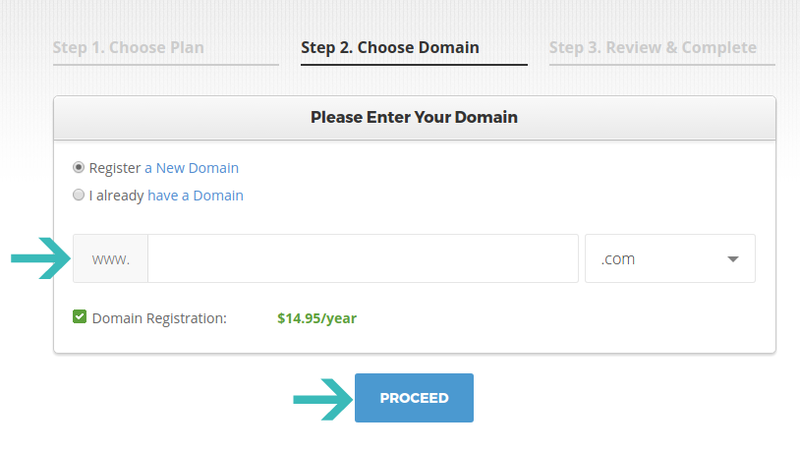 If you happen to already have a domain name, go ahead and type it in. If not, here is where you’ll create a brand new one. Also, I recommend just sticking with the .com extension. You want to make things as simple as possible for your future readers. Next, you will fill out the required info, and select whether or not you want any of the extra services. I always get the privacy feature, because it keeps your personal info private in the WHOIS database (this is where the contact info is stored for everyone that has a registered domain name). Totally up to you. Almost done! Agree to the terms of service, and submit your order. That wasn’t so bad, right? Now, all you have to do is install WordPress. There are two ways you can do this. You can contact tech support and ask them to set this up for you (for free), or you can do it real quick by yourself (it’s super easy). If you choose to DIY, keep reading. 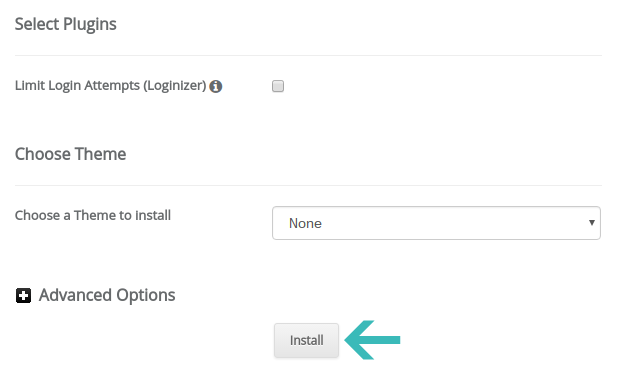 Once you are inside of your user’s area, click the “My Accounts” tab, and go to your cPanel. 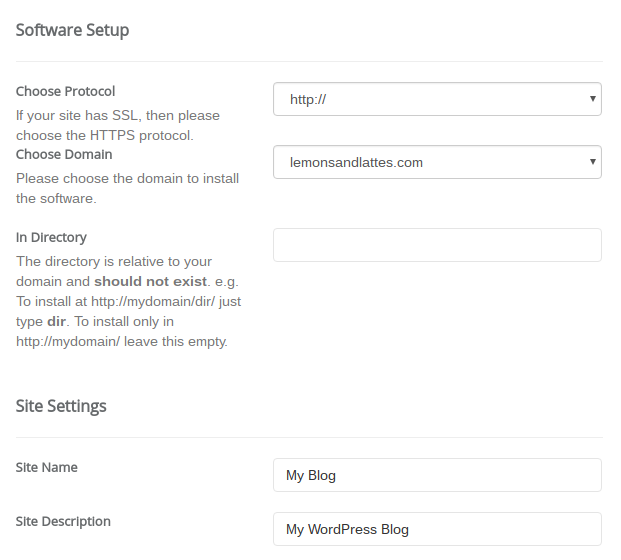 Once inside, scroll down until you see “Wordpress Tools” and click WordPress Installer. Complete the setup. For the protocol, it’s usually just http://. A lot of others online recommend not to use “admin” as your username. You’ll also want to make your password really hard to guess. Make sure you keep both your username and password in a safe place, because you’ll need it in a few to log in to your new blog. 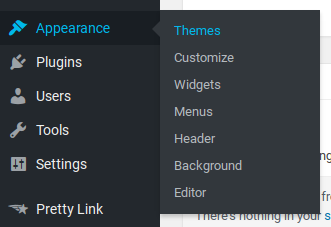 You can select none for the theme, because you can change this later inside of your WordPress dashboard. And that’s it! Congrats, because you now have your own blog! To access your WordPress dashboard, go to yoursite.com/wp-admin. Now that you have a blog, let’s make it a beautiful one that you’ll be proud to show off. The easiest way to accomplish this is by choosing and installing a WordPress theme. Your theme is what handles the overall look of your blog, and the best themes will even have built-in customization options where you can add your own header and choose your own colors, fonts, etc. So, where do you find these themes? The theme that I’m currently using for my blog is called Pretty Fabulous, and I’m really in love with it! unzip this. We will upload straight to WordPress in this format. Log in to your dashboard, and go to Appearance >> Themes. At the top, you’re going to click Add New >> Upload Theme. Next, choose the zip of your theme, and then hit Install Now. And that’s it! All there is left to do is to customize your new theme to your liking (Appearance >> Customize). You now have a brand new beautiful blog!